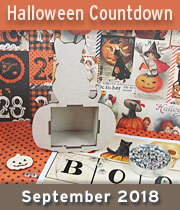 ﻿	Alpha Stamps News » TWO New Halloween Kits and bunches of Spooky Extras! 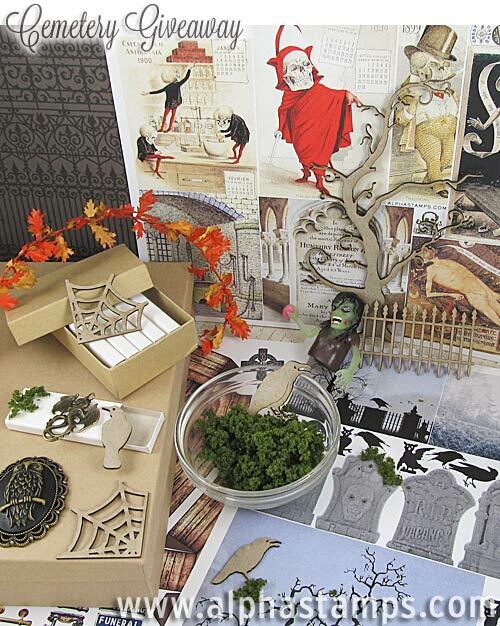 TWO New Halloween Kits and bunches of Spooky Extras! 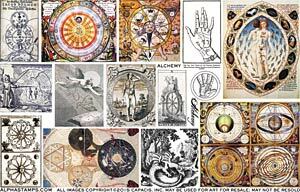 - The Alchemy Gift Sheet announced in last Thursday’s newsletter is still on offer! 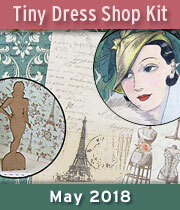 This mini collage sheet is FREE for all orders, regardless of order size! 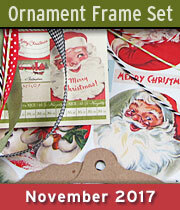 AND, don’t forget there’s still time (but not much!) 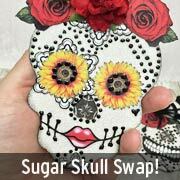 to enter the Chipboard Sugar Skulls Swap! 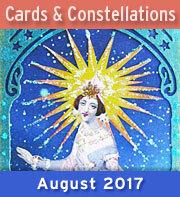 Sign up by Monday, August 3rd. 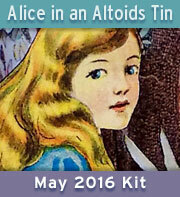 This month’s kit is The Cemetery! It’s feeling more and more like Halloween (our favorite season). 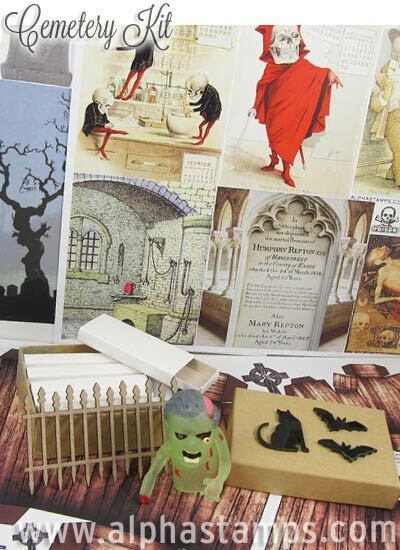 There are supplies here to get you started on a spooky scene, from cemetery silhouettes, miniature coffins, a gothic fence, black cat and bats, and a silly (glow-in-the-dark) zombie finger puppet! 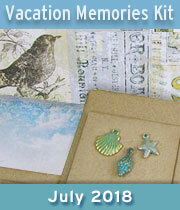 And, as the Design Team often receives a wider group of products to play with around the monthly themes, I’ve gathered together everything they received (beyond what’s in the regular August kit) and I’ve put together a Cemetery Add-On Kit. So if you want more collage sheets (coffins and tombstones), paper mache boxes, spider webs, and another fence — all with one click — here’s your chance. 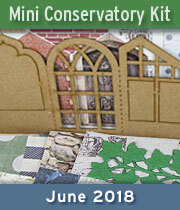 Back to this kit, let’s start with the Cemetery Tombstone Silhouettes Collage Sheet. 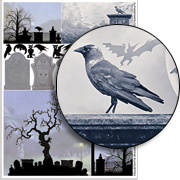 The sheet includes 3 spooky scenes that would fit an ATC (and one bigger image that has tree stumps around a bare tree — and some raven, cat, owl and bat silhouettes that could sit on those stumps or sit in the tree branches). 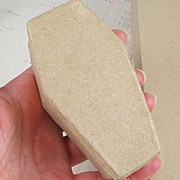 I had an idea for tombstones (about 2″ tall) that could stand up in a shadowbox scene, which led to finding the Narrow Blank Matchboxes (6 in a reuseable kraft box are included in the kit), AND which led to the idea of making double-use of that matchbox (to back the tombstones as a stand and to hide wires in… if you go the extra step and use the new Tiny size of Red LED Demon Eyes to make scary red eyes for the creatures on the tombstones). 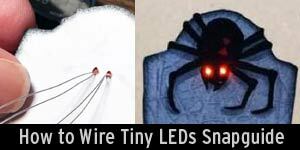 Check out Teri Calia's Snapguide for a step-by-step tutorial on how to wire a tiny tombstone with LEDs. 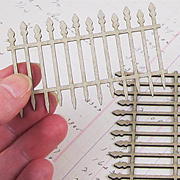 Next up in this kit: a Mini Chipboard Gothic Fence. 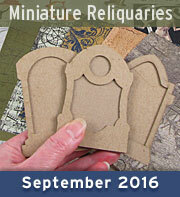 Almost 3″ wide x 1-3/4″ tall. 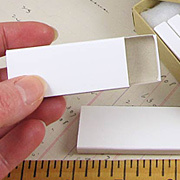 Perfect size for an ATC or use it with the box that the Narrow Blank Matchboxes come shipped in. 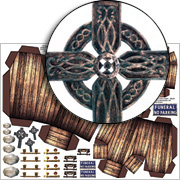 More info is on the Cemetery Kit page. Oooh! And artwork using a mix of both of today’s kits is below! I love both projects and how each artist created something different with the same materials. 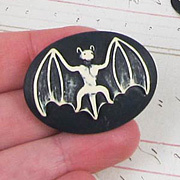 You can read more about Teri’s Creepy Goblin Cemetery project on her blog post. 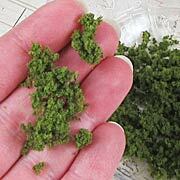 And/or see the goodies Teri used in her supply list. 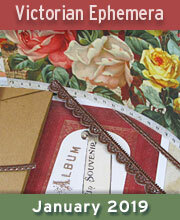 And you can read more about Shannon’s projects (yes, two!) on her blog post (and see what party is going on inside that house)! And/or see her Boneyard Bash supply list. 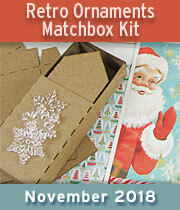 But don’t forget to come back and enter the Giveaway, below, as it includes supplies from BOTH of today’s new kits! Hooray for the Cemetery Giveaway! 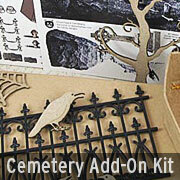 I started with parts of BOTH of today’s kits: Cemetery Kit and the Cemetery Add-On Kit. - omg i hate customs sometimes! 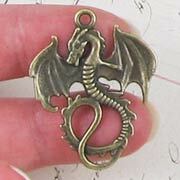 A new Bronze Dragon Pendant, which would have been perfect if it had arrived just one day earlier to be in Thursday’s newsletter with all of that alchemy stuff! To enter the Cemetery Giveaway drawing all you have to do is leave a comment on this blog post TODAY or TOMORROW (the deadline is 11:59 pm PST, Monday Night, August 3, 2015. AND tell me either (or both): what parts of Shannon’s and/or Teri’s artwork from today’s newsletter you like best and why. Hey, who won the Alchemy Giveaway? That would be Francine Perri! (And she commented: “I love everything. 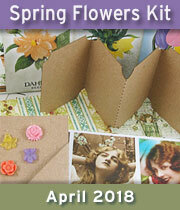 I would use them in my collages.“) Please check your email for my message about getting your mailing address. 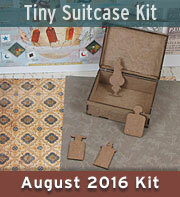 And we had a special 2nd prize last Thursday: for most creative project idea using the parts in the Giveaway. And the winner is Kim! (And she commented: “I am drawn to the dragons. Dragons and coffin = viking coffin. 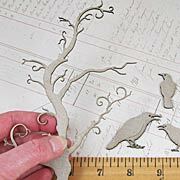 I would put the coffin in a a forest setting.Lots of twigs small stones and greenery and crows standing watch. The coffin would be decorated to look like wood, and adorned with a dragon, sunburst, a shield and sword. 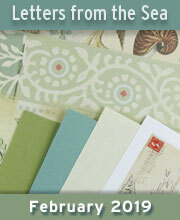 To honor a great viking.“) The prize is both of Laura’s new Alchemy Collage Sheets. Please check your email, too. OMG the zombie finger puppets!!! How foolish. I would be using them immediately…. August 2nd, 2015 at 8:11 am. I can’t pick! I love them both! I want to smush them together in one big display! lol How beautifully creative!!! August 2nd, 2015 at 8:14 am. Love the open coffin in Teri’s scene, why? Because of the velvet lining! The doll’s head with the lighted eyes in Shannon’s scene is freaky! I’d want to make both, no doubt! August 2nd, 2015 at 8:17 am. Between the open grave and the red demon eyes, my heart is pounding!But those creepy ghostly children are terrifying too! What a great pair of projects! August 2nd, 2015 at 8:22 am. Seriously, ONE element?!? These two pieces are extra-ordinary! I love all the creepy characters (and those in the windows, too) in Shannon’s fabulous creation … and the uber-spooky grave site (including coffin!) in Teri’s masterpiece. These two works-of-art are in a class by themselves … simply amazing! And thanks for the chance to win!! August 2nd, 2015 at 8:24 am. Oh, this reminds me of an abandoned cemetery beside a road where I used to walk as a child. I loved the wrought iron fence that enclosed it, and never dared to actually enter the space. 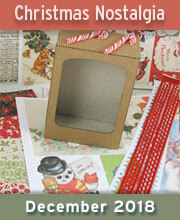 I would love to attempt to recreate these projects. Oooo I absolutely love the finish on the Boneyard Bash by Shannon Cooper & the windows are amazing! Both are truly inspiring artworks! August 2nd, 2015 at 8:25 am. August 2nd, 2015 at 8:36 am. Wow- these are so cool! Loving the wrought iron fence! And the clump mix fall folliage is wonderful. Eye catching projects! August 2nd, 2015 at 8:40 am. Oh my gosh they are all awesome! I have to say the spooky spider baby, and the fabulous “monster mash” bash going on inside Shannon’s house, stole my Halloween-loving heart. Fabulously freaky! August 2nd, 2015 at 9:00 am. I love the way that the mini wrought iron fence and tree cut outs are used! 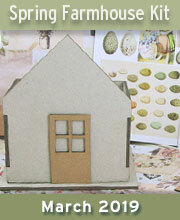 I would love to use both things in a 3-D collage with layers of transparencies and words. August 2nd, 2015 at 9:12 am. The wrought iron fences in both projects look terrific and set the mood. The dug up coffin and the black cat nonchalantly sitting nearby catch my eye in Teri’s piece–so typical of a cat! I love the creepy children in Shannon’s piece–they just draw you in. The madness going on inside puts it all over the top!! Two great scenes from two very talented artists! August 2nd, 2015 at 9:20 am. I like the iron gate fence that Teri used in project and the lights Shannon used to create the creepy spider using a doll head. August 2nd, 2015 at 9:32 am. It is hard to pick just one thing. I love the tombstone collage sheet and the fences. 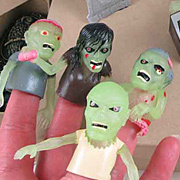 And the zombie finger puppets are to die for!! And the tiny led lights. 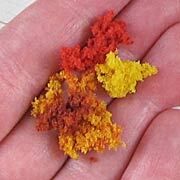 I would love to incorporate them into some dia de los muertos shrines! August 2nd, 2015 at 9:39 am. The fences are my favorite. I’m always “spooked out” by ornate wrought iron fences. Even if they surround a beautiful home. Scariest is when it’s around CEMETERIES! Both scenes are fantastic! I would display them together. The twisted trees, the iron fence, the creepy people, and the haunting house are all enchanting! August 2nd, 2015 at 9:52 am. I think they are both fantastic but I am drawn more to the cemetery. The fence is super creepy, the dug up coffin; I love Halloween and this would be an awesome display. August 2nd, 2015 at 10:09 am. I have to say I love every part of her design!!! August 2nd, 2015 at 10:13 am. When I look at this stuff, I’m already inspired for a Gothic ballad project. Thank you for another opportunity! August 2nd, 2015 at 10:24 am. August 2nd, 2015 at 10:56 am. I love the cemetery collage sheets and the iron fence, Halloween is my favorite time of the year and so many possibilities. Maybe I could alter photos of old family graves and add them to the scene. I love both the house and the cemetery in total, but have the say the cemetery totally rocks. August 2nd, 2015 at 11:10 am. Love Halloween! Love this kit! I particularly like the cemetery collage sheet and the gates. I have already started my Halloween crafting and would love to win this! August 2nd, 2015 at 11:16 am. August 2nd, 2015 at 11:17 am. Love the cemetery fence and the trees! ANother great giveaway! August 2nd, 2015 at 11:20 am. I want it all, I love Halloween. August 2nd, 2015 at 11:25 am. This would be perfect for a sleepy Hollow type scene. I love both scenes !!! August 2nd, 2015 at 11:26 am. Fabulous Halloween projects. I love them all but really need those Demon eyes!! August 2nd, 2015 at 11:34 am. Teri’s artwork is my favorite due to the balance of scale. The piece draws you in to look for more detail. My favorite parts are the fence and the background graveyard image. August 2nd, 2015 at 11:59 am. Oh my gosh, so much Halloweeny goodness! 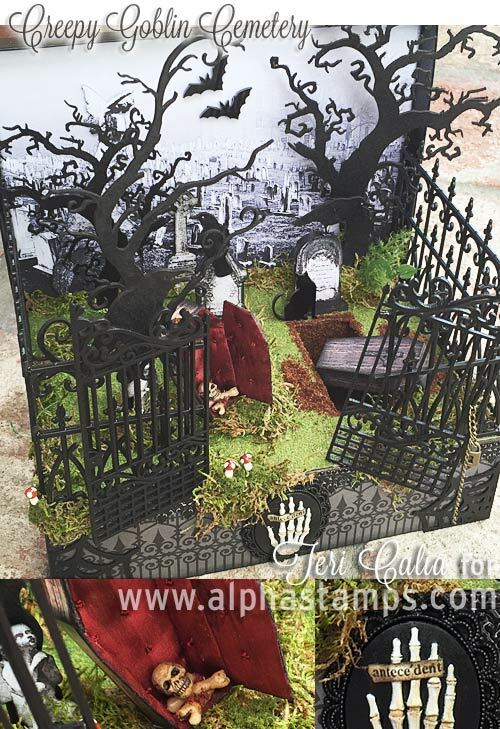 I especially love Teri’s red lined and tufted coffin in her mini graveyard scene (as well as the skeletal hand with the title ‘Antecedents’on the front of the tableau, love!) and on Shannon’s amazing haunted house I’m torn between the spider baby with glowing eyes or the boneyard bash inside, both equally ah-mazing! 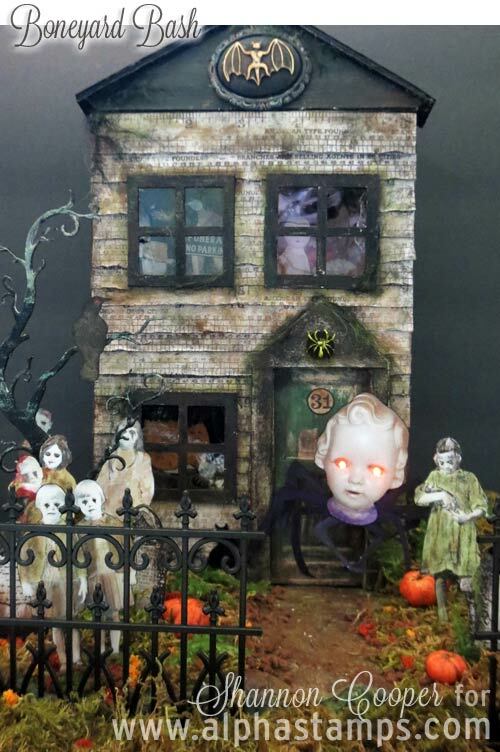 What’s not to love about both Teri and Shannon’s dark and scary Halloween vignettes! But I must admit, the doll head sitting on the porch in Shannon’s Boneyard Bash is such a creepy treat! August 2nd, 2015 at 12:01 pm. Beautiful Halloween creations! 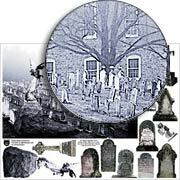 The tombstones, trees and bats are the best! August 2nd, 2015 at 12:03 pm. August 2nd, 2015 at 12:12 pm. I do love the haunted house, but it’s the cemetery that grabs my heart. I live in the South and not far from me is a cemetery that looks a lot like Teri’s – complete with iron fencing and hanging greenery in the trees. For some reason, the little cemetery brings back memories from my childhood (I had a very weird childhood, complete with a mother who loved cemeteries.) But really, what could be better than a haunted house with a cemetery in its backyard? August 2nd, 2015 at 12:23 pm. 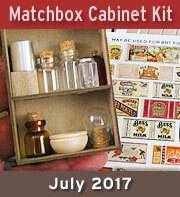 I just ordered the Potions Kit and thought that was it – and now you show me this!!! Oh so much spookiness to choose from! But I do love those trees as they definitely add a delightful spooky touch. 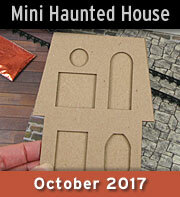 I’ve done a haunted house pix at website, and am now working on a spooky cottage. You never can get enough mini scares! August 2nd, 2015 at 12:45 pm. August 2nd, 2015 at 12:55 pm. I absolutely love the demon eyes. Very creative. I would love to make a great old creepy house and cemetery with plenty of demon eyes! August 2nd, 2015 at 12:58 pm. Just in time for Halloween! This would fit nicely for my projects! August 2nd, 2015 at 1:03 pm. I always love cemeteries, but what I really like about Terri’s is the empty grave. I didn’t realize it was a dug grave until I went to her site and saw the pics from above. I love that touch. August 2nd, 2015 at 1:07 pm. Love the new fence I think it’s gorgeous. August 2nd, 2015 at 1:17 pm. I love that wrought iron fence – it fits the scene so perfectly! August 2nd, 2015 at 1:32 pm. Everyone should look up the Island of the Dolls. It seems like some of them ended up at the Boneyard Bash. Love the Cemetery Giveaway; not so fond of the other one. It seems, though, like the giveaways are getting smaller? Lots of scrap paper. 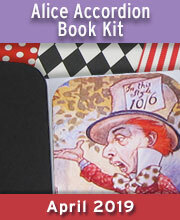 The giveaways are one of the things that draw me to the email/webpage every week; I don’t want to miss out. It’s a good advertising strategy and I’ve certainly been a customer for a long time. August 2nd, 2015 at 1:34 pm. My mind is blown!! How amazing are BOTH of these creations!!! I think my favorite is Shannon’s house scene! LOVE the glowing eyes, the little details like the images in the windows and the groundcover!!! But on the other hand, Terri’s graveyard is quite amazing also!! LOVE the skeleton in the coffin, the dug out grave with coffin sticking out of it and that fence has me drooling!! I think I would need to get all of the goodies to make my own version of BOTH of these creations. Maybe the house is overlooking the cemetery and the spirits are crossing between both so that they have even more people to haunt and spook! LOVELOVELOVE seeing what the uber talented designers keep coming up with!! If only I could win the lottery and be able to purchase all of the wonderful things you have in the store!! That would be Utopia!! TFS and I will see you on the other side! August 2nd, 2015 at 1:35 pm. I have always had a fascination with old cemeteries and was going to say the gothic fence which always evokes a memory of the old graveyards that we use to visit. However, I kept expanding the screen on my iPad to see all the details and that creepy spider baby really makes a statement. August 2nd, 2015 at 2:32 pm. August 2nd, 2015 at 2:51 pm. The haunted house in the Boneyard Bash does it for me. I love being able to see the “spirits” thru the windows. August 2nd, 2015 at 3:01 pm. I love the doll head with the lit up eyes in Shannon’s scene. It inspires me to make a ton of them and hang them everywhere. August 2nd, 2015 at 3:04 pm. I love the Victorian feel of Teri’s cemetery. 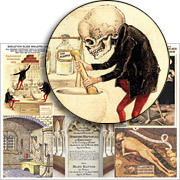 In fact, I would build this project for display in my library presentations on Death in the Victorian Era; Customs, traditions and superstitions. I LOVE the fencing as well as the open grave! Very cool details! August 2nd, 2015 at 3:17 pm. Both projects are spectacular! I love the red eyed crows in Teri’s graveyard and the creepy kids in front of Shannon’s house. And I can’t wait to get my hands on those zombie finger puppets! August 2nd, 2015 at 3:33 pm. I love things about both projects. The wrought iron fence is fabulous! I also love the exterior of the haunted house. August 2nd, 2015 at 3:49 pm. August 2nd, 2015 at 4:25 pm. I enjoyed both of the creations, but would like to use the gothic fence and trees in Teri’s scene. I like the creepiness of the cemetery. August 2nd, 2015 at 4:37 pm. Hands down, it has to be the cemetery scene!! Perfect for a Halloween project! August 2nd, 2015 at 5:03 pm. I adore the use of the underbrush and must have some of my own! August 2nd, 2015 at 5:05 pm. 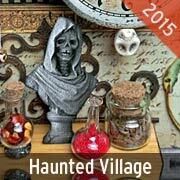 I’m making an entire halloween village complete with the FAB Halloween carnival! Both of these projects are PERFECT additions to my little town! You have made me an Alpha Stamps junkie!! LOVE THESE PROJECTS! August 2nd, 2015 at 5:09 pm. I love both, but Boneyard Bash would be my first choice. I love the fences, always have loved the creepy style fences and gates for some reason! August 2nd, 2015 at 5:48 pm. Oh my goodness, how can I choose?! 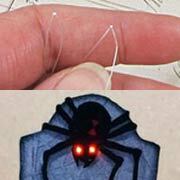 Both are fabulous and put me in the mood for some serious Halloween crafting! August 2nd, 2015 at 5:56 pm. No tricks in this giveaway…all TREATS!!!! The cemetery is my pick, LOVE the fence! August 2nd, 2015 at 6:24 pm. Love the creepy fencing on both, but those ghostly children are my favorite and I love trying to look in the windows of the boneyard bash. August 2nd, 2015 at 6:48 pm. I’m in love with the fence around the graveyard. It lends such a horribly cozy feel to the piece (grin). August 2nd, 2015 at 7:09 pm. I think both projects are amazing! I like Teri’s use of the fence and all the tree silhouettes. The glowing crow eyes add to the spooky factor. Shannon’s spider baby is wonderful! August 2nd, 2015 at 8:25 pm. They are both so cool and creepy! I love the graveyard – the trees and the cats are awesome! The house reminds me of a place in Salem where they have gravestones right in front of this church – very creepy. Love the whole batch! August 2nd, 2015 at 9:47 pm. I love the flora and background in Teri’s cemetery diorama. It makes the whole thing come together and look realistic. Lovely! August 2nd, 2015 at 10:26 pm. Hard to choose for us Halloween lovers but I am drawn to the wrought iron fence and cemetery.There was one on our block and we use to visit this old cemetery spooky that had one all around it! I definitely would love to recreate it for Halloween! August 3rd, 2015 at 1:20 am. August 3rd, 2015 at 1:41 am. I love the cemetery scene, although both projects are terrific. The wrought iron fence is great. August 3rd, 2015 at 3:47 am. Nothing says Halloween better than a spooky old house and a cemetery. Both invoke the innocence of Halloween’s gone by…just the right level of spookiness with no blood and guts. Happy Haunting! August 3rd, 2015 at 4:13 am. August 3rd, 2015 at 5:07 am. Wow…I really don’t think I can choose between Shannon’s & Teri’s! They’re both great.I would like to combine the two scenes and have the graveyard scene as the side yard to the spooky house! It would be great fun with all those ‘spooky’ elements! August 3rd, 2015 at 5:23 am. I love both creations! Halloween is the best time of year. August 3rd, 2015 at 5:28 am. WICKED SPOOKY!! I love the little dead dude coming outta the coffin on Teri’s spooktacular creation + the lighted doll head on Shannons! August 3rd, 2015 at 5:48 am. WOW!!! Wonderful goulies and ghosties lol!!! Can’t pick just one thing!! But I LOVE THE LED LIGHTS!!!!! Thanks for the chance to win! August 3rd, 2015 at 6:26 am. Halloween, my favorite. Keep the great ideas coming. August 3rd, 2015 at 6:53 am. LOVE, LOVE, LOVE both designs! Creepy cemeteries and haunted houses are my favorite Halloween crafts, but I’ve never come up with such cool ideas (I’m a bit envious). The gates, trees, backgrounds, plus other little bits & pieces are what makes these so amazing! Thanks again for this opportunity, love your site! August 3rd, 2015 at 7:03 am. If I have to make a choice, I choose Shannon’s amazing scene — simply because of the creepy doll spider… So spooky! August 3rd, 2015 at 7:12 am. I love Halloween!! Thanks for the chance to win a great giveaway!! August 3rd, 2015 at 7:49 am. August 3rd, 2015 at 8:19 am. This is the best month ever. Oh, the things I could do! August 3rd, 2015 at 8:57 am. Holy cow! Laura just blew me away on this one!!! August 3rd, 2015 at 11:34 am. I love Shannon’s haunted house and the way she uses the collage sheets. I love all things spooky. August 3rd, 2015 at 11:51 am. August 3rd, 2015 at 11:52 am. Am amazed by both, but love those windows on the house. I am doing my own (ghostbird)house and couldn’t figure out how to deal with the windows. Now I know. August 3rd, 2015 at 11:56 am. I just love the Creepy Goblin Cemetery, it has so many special details! August 3rd, 2015 at 11:58 am. LOVE LOVE LOVE these kits! !Halloween is my favorite holiday (as I have said before) and this bunch is just full of cool goodies!! August 3rd, 2015 at 12:09 pm. Spooktacular! It’s hard to say what I like best because it’s all so good, but I guess I like the Churchyard Cemetery Collage sheet the best. 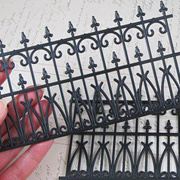 Closely followed by the min wrought iron fence. Both look vintage, authentic and….creepy. re Teri’s artwork: I really l like the skeleton crawling out from the ground. Re Shannon’s: That house – it definitely looks haunted! August 3rd, 2015 at 1:03 pm. This is the best EVER! I’m going to brew up a potion to help me win. Teri’s-love the backdrop to the cemetery-would have never thought of doing something like that and it’s Perfect! Totally captivated by Teri’s windows-brilliant and ingenious. Know what I am getting me for my upcoming birthday. August 3rd, 2015 at 2:46 pm. I like the cemetery gates on Teri’s piece and the dimension it adds. Black silhouettes of the trees work well too! On Shannon’s piece the glowing eyed creepy doll head is awesome!!! That is one of the scariest things I’ve seen in a while but it’s so much fun too! August 3rd, 2015 at 2:58 pm. love the coffin in the cemetery, and the people near the house…creepy! August 3rd, 2015 at 4:24 pm. I love the coffin that is next to the hole in the ground. So cool! August 3rd, 2015 at 5:05 pm. Both Terri and Shannon have out done themselves this time! I love the lined coffin in the grave yard to all the characters both outside and inside the haunted house! August 3rd, 2015 at 6:57 pm. The crows, the tree and the fence are all so cool and creepy and I love the background from the collage sheet. August 3rd, 2015 at 7:02 pm.